The Miami Showband was one of the most successful Irish bands of the showband era. During the 1960’ and 1970’s the band played to large audiences all over Ireland and had seven number one recordings in the Irish singles charts. 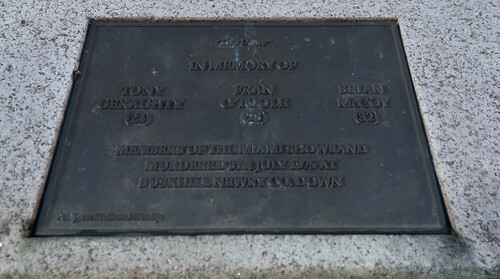 In 1975 three members of the group, Fran O’Toole, Tony Geraghty, and Brian McCoy were murdered. They were killed by the paramilitary group, the Ulster Volunteer Force in what has become known as the ‘Miami Showband massacre’. Showbands were popular form of entertainment in Ireland from the mid 1950’s to the late 1970’s. The showband, which played dance music together with pop, rock and roll and country music of the time, usually consisted of six or seven members. They played in large venues all over Ireland and some bands toured with success in Britain, the United States and Canada. 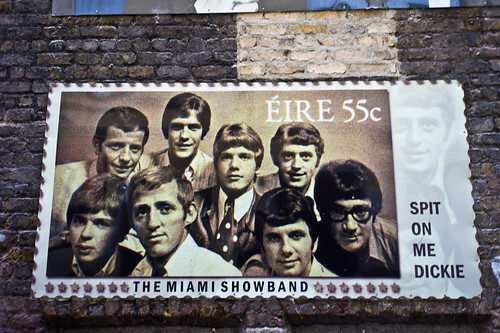 In 1962 the Miami Showband, led by singer Dickie Rock, was established in Dublin. Dickie Rock left the ban in 1972 and was replaced as lead singer by Fran O’Toole. In 1975 the band was returning from a performance in the Castle Ballroom in Banbridge County Down. They were stopped by gunmen at a bogus military checkpoint at Buskill near Newry, Co Down. Three members of the band were killed and two were wounded. The Miami Showband massacre occurred in the year 1975 On This Day. 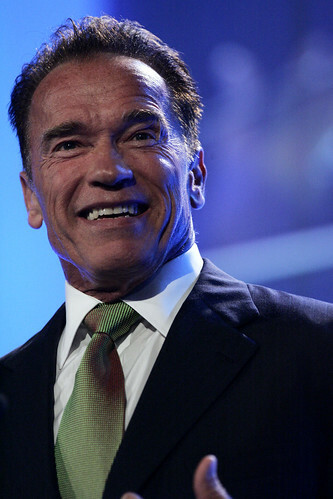 Arnold Schwarzenegger is a native of Austria. He is an actor who first rose to fame as a world champion bodybuilder. He is also a politician who has served two terms as Governor of California. Arnold Alois Schwarzenegger was born in Thal near Graz, Austria in 1947. He was active in various sports from a young age and became involved in bodybuilding at the age of 14. He gained fame as a bodybuilder and at the age of 20 became the youngest person ever to win the title of Mr Universe. In 1968 Schwarzenegger emigrated to the United States. He studied English and continued to have success as a bodybuilder. In 1979 he was awarded a BA degree by the University of Wisconsin. He moved from bodybuilding to into acting playing the role of Hercules in the film Hercules in New York. Schwarzenegger had his first big break in the successful film Conan the Barbarian in 1982. Two years later he became a movie superstar for his role in the film Terminator. He went on to make several blockbuster films before becoming Governor of California in 2003. He served as Governor until he returned to his movie career in 2012. Arnold Schwarzenegger was born in the year 1947 On This Day. Tom Dunphy was one of the founding members of the Royal Showband. 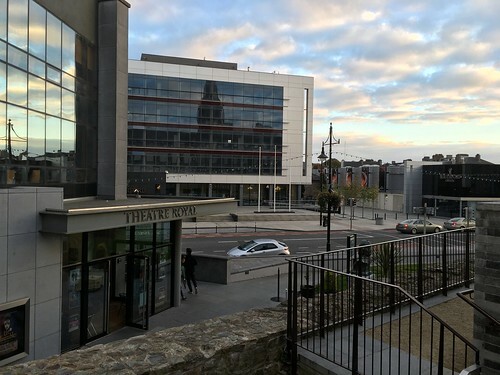 The band was founded in Waterford in 1957. With Dunphy as leader and Brendan Bowyer as lead singer, it became the most popular band in Ireland. In 1975 Tom Dunphy was killed in a car accident in Co Leitrim. At the time he was travelling to perform at the Mary from Dungloe Festival in Co Donegal. Following its formation the Royal Showband played at venues across Ireland and toured extensively in Great Britain and the US. It had several number one hits, the most popular of which was ‘The Hucklebuck’ in 1965. In 1970 Brendan Bowyer and Tom Dunphy left the Royal Showband to form a new band called the ‘Big 8’. The ‘Big 8’ was based primarily in Las Vegas but also toured in Ireland. Tom Dunphy of the Royal Showband and the ‘Big 8’ died in a car crash near Carrick-on-Shannon, Co Leitrim in the year 1975 On This Day. 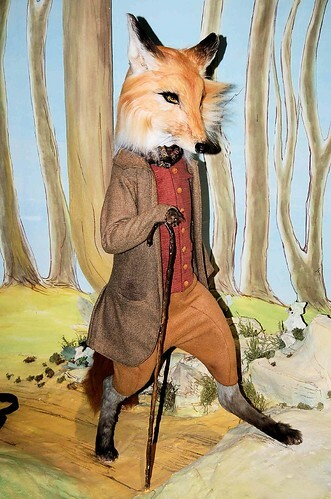 Beatrix Potter was a native of England. She is best known as the author and illustrator of over 20 children’s books starring such characters as Peter Rabbit, Jemima Puddle-Duck, and Benjamin Bunny. Potter was also a successful farmer, conservationist and natural scientist. She left much of her land holdings to the National Trust, part of which now constitutes the Lake District National Park in England. Helen Beatrix Potter was born at West Brompton, Kensington, London in 1866. She was educated privately by governesses. During her childhood she spent her holidays in the Lake District and in Scotland where she developed a strong interest in the flora and fauna of the countryside. She published her first book, The Tale of Peter Rabbit in 1902. 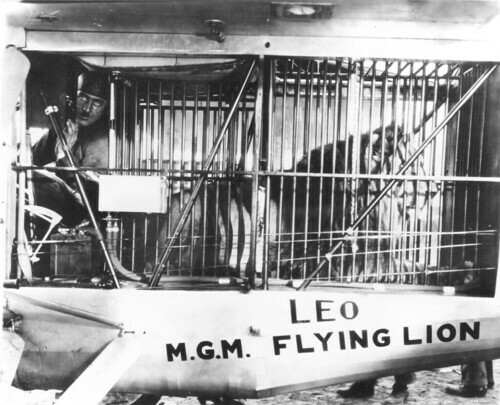 The publication was a success and was followed by more than 20 other children’s books. In 1905 Potter moved to live in the Lake District where she bought Hill Top Farm. She continued to write but in later years she purchased additional farms and concentrated on farming. Her books are still popular with children worldwide. They continue to sell and are often depicted in film. Beatrix Potter was born in the year 1866 On This Day.